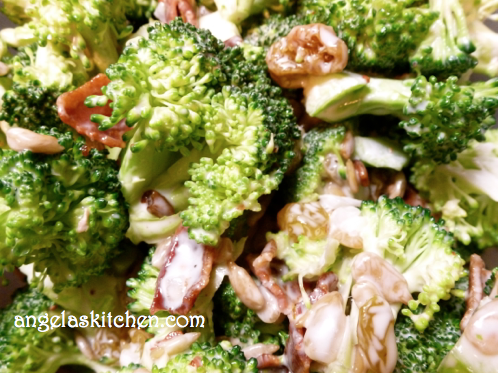 Combine broccoli florets, raisins, sunflower seeds, crumbled bacon, and chopped onion (if using) in a large serving bowl. In a small separate bowl whisk together mayonnaise, vinegar and sugar. Add dressing to the salad and toss to mix well; chill thoroughly before serving. 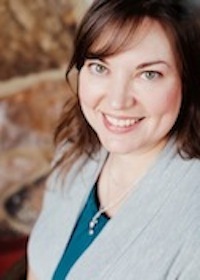 « An E-Baby Shower for Sea of Book of Yum!